At Intra Steel, we believe the secret to successful commercial catering lies in the restaurant and kitchen design. Our professional kitchen design experience ranges across hospitality & restaurants, venue catering outlets and community kitchens such as schools and sports centers. No matter how talented the chef or how modern the catering equipment, if it isnt designed for functionality, practicality, efficiency and comfort it just doesn’t work. We invest time in detailed planning and design consultation for every project, understanding how you work and what your customers expect. It isn’t just about filling a space with the latest commercial kitchen equipment, it’s about creating an entire catering and food service system tailored to your needs. 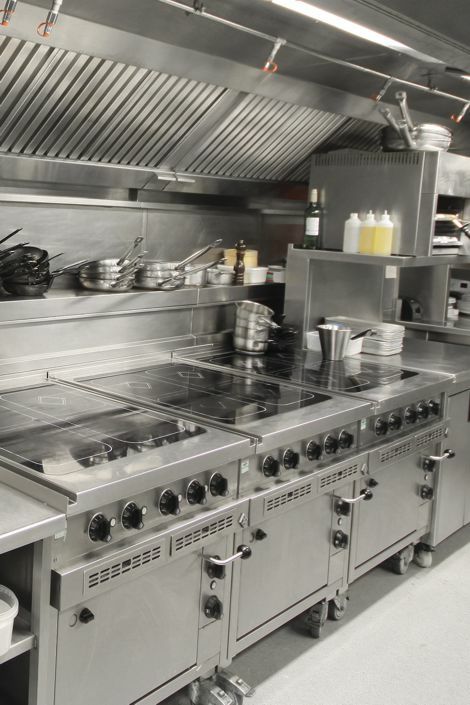 Unlike many commercial kitchen installers our commitment doesnt end after installation. We stay for commissioning, ensuring that we have installed food service equipment and systems that really work for the way you use your kitchen. Even in the long term our food service equipment team are always available to carry out repairs fast.